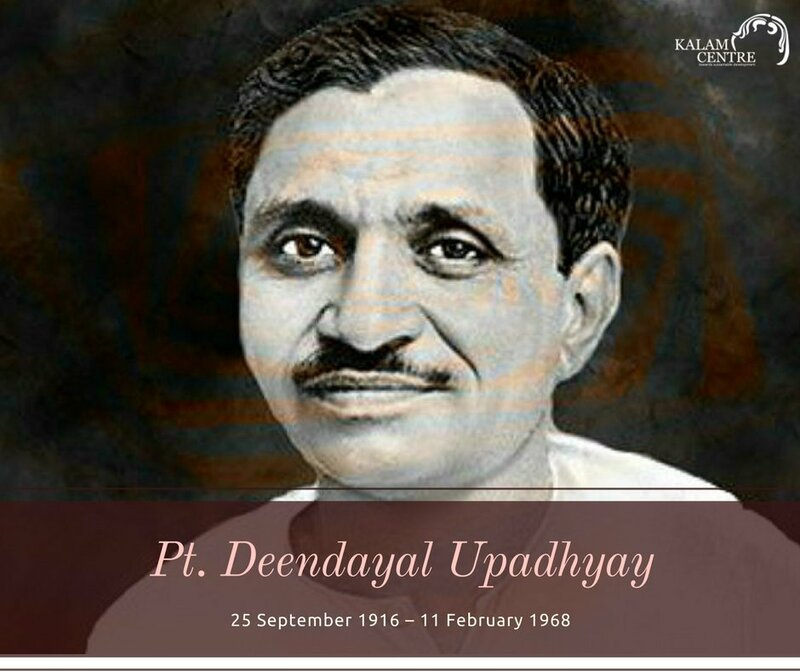 25th September was observed as Antyodaya Diwas across the country to mark the birth anniversary of Pandit Deendayal Upadhyaya, a noted philosopher, historian and political activist. Antyodaya means uplifting of the weakest section of the society. Several activities including blood donation camps, seminar, symposia were organised on this occasion across the country. He was a well-known political personality and a thoughtful philosopher. He was the coordinator and a famous leader of Jan Sangh, which is considered precursor to BJP (Bharatiya Janata Party). He was a critic of both capitalism and communism. He advocated his own brand of Integral Humanism which combined morality in politics and human centric approach to economics. He strongly supported 'swadeshi' and small scale industrialization. He upheld nationalistic ideals and believed that blindly adhering to Western ideologies wouldn't be a suitable path for India. He founded Rashtra Dharma Prakashan publishing house in Lucknow and launched Rashtra Dharma, a monthly magazine, to advocate principles he held sacred. Later he launched weekly Panchjanya and daily Swadesh. He wrote the drama Chandragupta Maurya in Hindi and later wrote a biography of Shankaracharya. Q. 25th September was observed as Antyodaya Diwas across the country to mark whose birth anniversary?